Fairmount Park Conservancy asked 12 artists to design and build birdhouses for a variety of species that live in East and West Fairmount Park's diverse habitats. A 2016 DesignPhiladelphia event featured these "meadow mansions," which were later moved to permanent locations in the park. 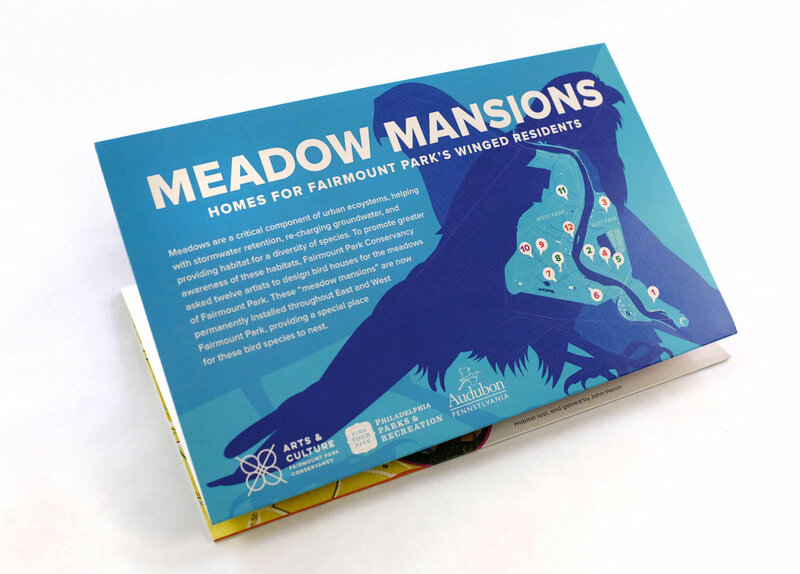 This folding map identifies birdhouse locations and provides fun and interesting facts about the bird for which each "mansion" was designed.